Foreign media is saying Typhoon Ompong (Mangkhut) is bigger than Florence. Ompong is a bigger threat to life because it has stronger winds over a larger area and with higher storm surges. ANC will continue to track the storm as it closes in on land. It is scheduled to make landfall Saturday morning. But the sheer size of the weather system means we are likely to feel the effects of the storm in the form of heavy rains before the eye makes landfall. ANC will continue to air briefings by PAGASA and the NDRRMC and keep in close contact with LGU officials of areas in the path of the storm, ABS-CBN regional units and reporters who have been deployed. Amateur meteorologist Mike Padua of Typhoon2000 will be guest on ANC’s Headstart. President Duterte said there was “nothing earthshaking” in his meeting with U.S. Ambassador Sung Kim. The President also insisted there was a destabilization plot against him. He first made the claim on Tuesday, citing foreign intel given by a friendly but unidentified country. But Defense Secretary Delfin Lorenzana said he was not aware of foreign intel on the alleged ouster plot. Someone didn’t get the memo. 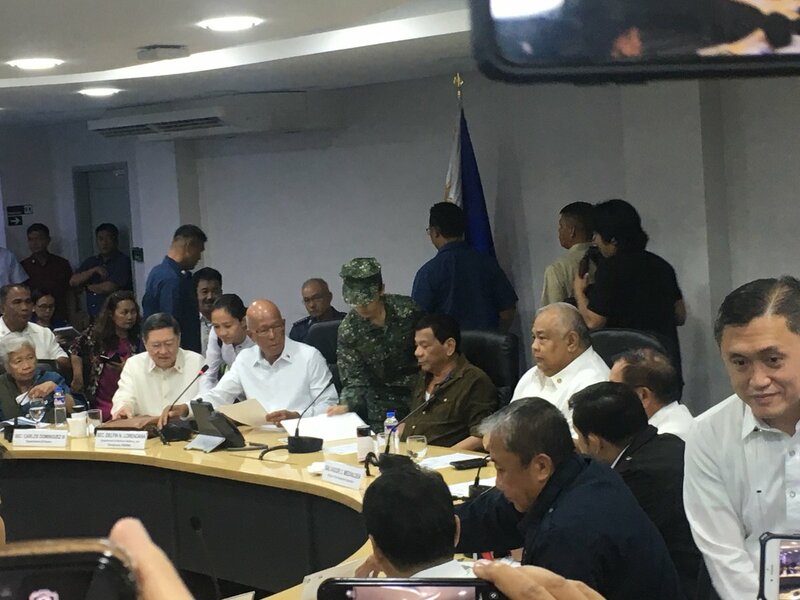 President Duterte presides over a command conference on Ompong. ABS-CBN News. 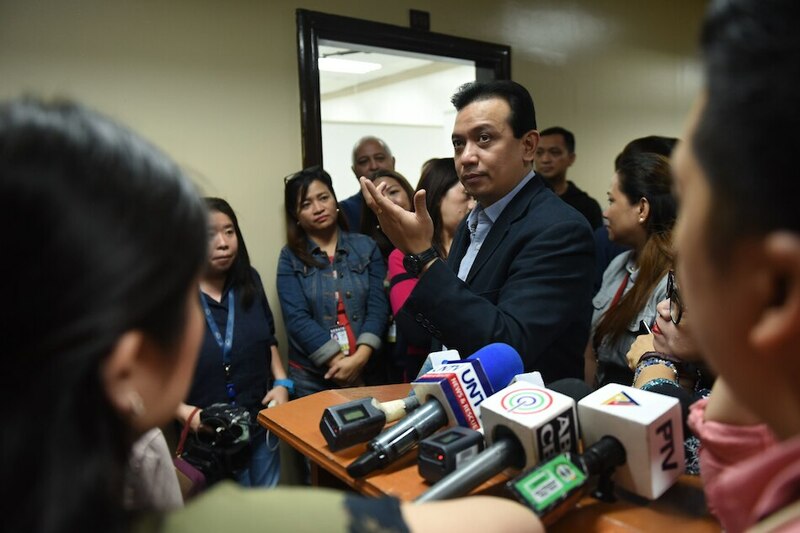 Sen. Antonio Trillanes said Thursday night he cancelled an attempt to go home from the Senate because, he said, his car was being tailed. President Duterte said Trillanes should not be arrested without a warrant from civilian courts. Incidentally, Makati RTC Branch 150 is due to hear his rebellion case today. ANC will be on alert for any arrest warrant that might be issued. According to Socioeconomic Planning Sec. Ernesto Pernia, the executive order set to be issued by the president on inflation will remove non-tariff barriers on food imports and zero in on fish rice, sugar, meat and vegetables. Will this work in bringing down inflation numbers? ANC will consult with our resource persons to check on the viability of this move. The president’s economic team submitted the EO to him on Thursday. Also, DOF Undersecretary Karl Chua will be in a forum to discuss inflation, TRAIN 2 and other economic reforms.